February Pet Plush Images Revealed! 12 Days of Christmas with Ms. Birdy! Just like last year, there's a 12 days of Christmas event going on in Webkinz! Ms. Birdy, the host who works at the Adoption Center, is hiding around the club house. You must find her each day of Christmas. Every day, you get a prize from her. It's tough finding her, she has no pattern. If you collect all of the prizes, you get a badge. Have fun! Our beloved mazin hamster pet, Sunshine retired. Sunshine will no longer be available in stores from now on. 2007 Halloween Items to be won! The KI Staff are pleased to announce an Excellent contest for the Halloween Season! 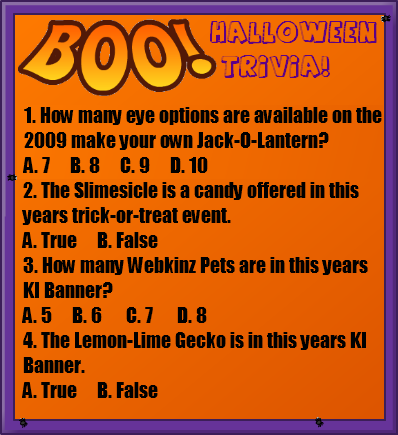 We here at KI have a great Trivia Contest featuring 4 Questions. Just Send in your 4 answers to Me, Speckles, by PM! Mazin' Hamsters Are Now In Room! Starting October 1st, Mazin’ Hamsters will be visible throughout Webkinz World, not just in the hamster habitat! 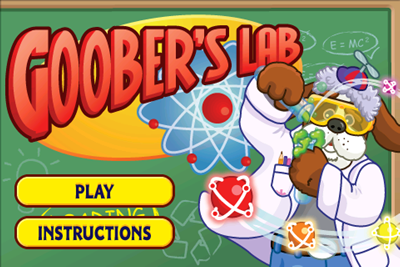 Members can play with 2-D hamsters in their rooms and throughout Webkinz World. This will apply to Mazin’ Hamsters that you have already activated as well. 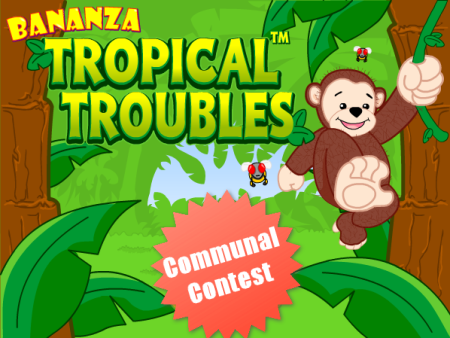 The Communal Contest for the Weekend of September 18th & 19th is Bannana Tropical Troubles. The Prize is the Amplifier Stove. Our goal is to get 5,100,000 points. Good Luck! Today, September 17th, 2010, Ganz is hosting another round of Peek-A-Newz! If you don't know what Peek-A-Newz is, it is a contest Ganz has been holding for the past month or so. You have to search the Webkinz Newz website for the featured Webkinz host, who is hiding around the site. This round of Peek-A-Newz, the featured host is Zofia! At 6:00 PM Eastern or Kinz Time, untill tomorrow at 5:59 PM or Kinz Time you'll have your chance to search for her and win a cool prize! As you can see in the photo, a Mazin' Hamster drawn in the way Webkinz are. Also, a Happiness and Health bar and icon. What do you think is coming to Webkinz World? Daisy Tortoise Retires This Weekend! Webkinz Newz has posted the following announcement about the retirement of the Daisy Tortoise. Don't forget to log in and claim your retirement cupcake. To celebrate Caring Valley Weekend, Webkinz Newz is hosting a floating tree contest. 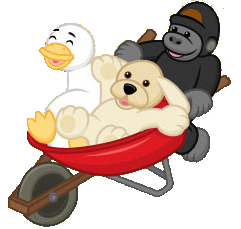 Visit WebkinzNewz 12:01am Sept 11 until 11:59 pm EST Sept 12 to enter. You could win a Midnight Magnolia Tree or a Whirlawisk recipe food. You can also see the Enchanted trees in Kinzville park so check them out. Good luck! I would like to give a big thank-you to our Graphix Team for making a great Fall Banner and Theme! Thank you Emma8432 for the banner! Great job making a our Site you fantastic! 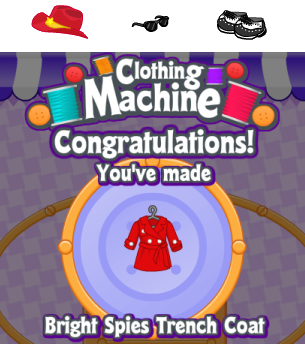 New Clothing Machine Recipe Solved! 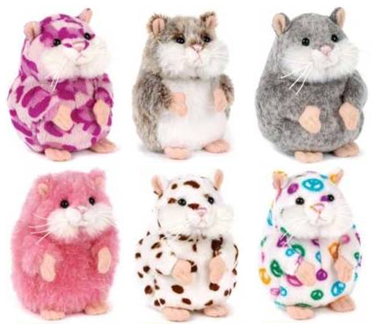 New Mazin Hamsters Series 2 and Seasonal they are coming soon we don't know the actual date Ganz will release them but keep your eyes peeled for these new Mazin Hamsters! Last Days of Goo Goo Berry Fest! Saturday, August 13 is the last day to catch those Goo Goo Berries! This year, in addition to catching the berries, players can also receive Goo Goo Berry Pie and Goo Goo Berry Juice. When combined with Goo Goo Berries in the blender, they make a new special recipe food... Goo Goo Berry Float. Members making this special recipe before the fest ends will also receive a chef badge.